It is safe to say that every parent will be required to provide support to their children regardless of the kind of relationship they have with the other parent. 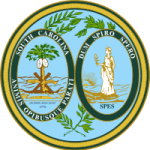 It is with this that the state of South Carolina has made it possible to apply for child support services while it provides a calculator in the form of a worksheet to help you determine how much you are required to pay to child support. Although it does not have the online service for one to enroll and log in to their account to check the status of their child support, you can easily access their contact information and get help whenever the need arises. Step 2: Fill it in the fields as required. Step 3: Sign it at the bottom and send it to the local child support office in your area. Click here to access the contacts. After you have registered or applied for child support services, you can now access the child support orders, cases, and determine how much you are expected to pay. It is the responsibility of every parent to take this step. Although the state does not offer an online platform where you can register for online services, you can still benefit from the information and resources you get from the website.